A nearly completed Masonic Avenue was celebrated by city officials a decade after residents and businesses first complained about the dangerous corridor. The new corridor improvements from Fell to Geary Boulevard on Masonic Avenue includes a newly repaved road, a road diet, bikeways on both sides of Masonic, wider sidewalks, and better access to Muni. Beneath the street are newly-installed water main and sewer lines. Along with the new pedestrian and bike safety improvements is a brand-new plaza aligned with palm trees at the corner of Geary Boulevard and Masonic Avenue, across the street from Target. Mayor London Breed said she recalled receiving many complaints from residents when she was District 5 supervisor of how dangerous the corridor was for pedestrians and bicyclists. The Masonic Avenue corridor has been the site of two fatal collisions, including the death of bicyclist Nils Yannick Linke who was hit by a drunk driver in 2010. San Francisco Supervisor Vallie Brown speaks during a ceremony on the completion of a streetscape improvement project on Masonic Avenue in Francisco, Calif., on Tuesday, August 14, 2018. 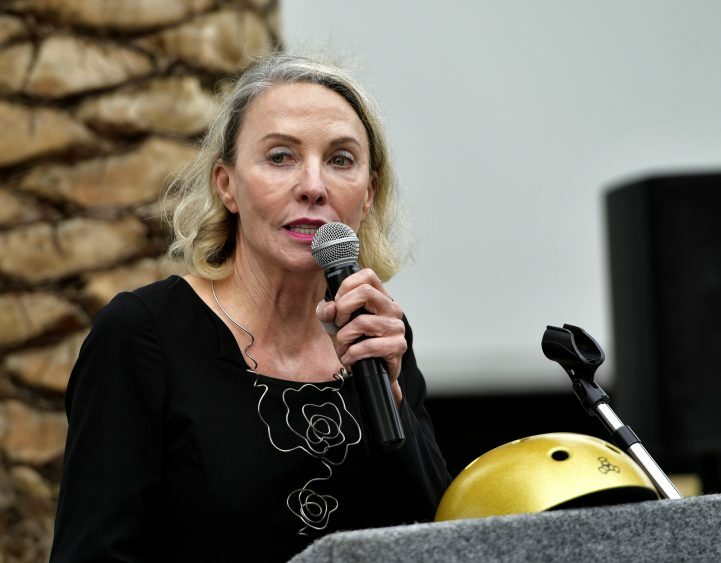 Supervisor Vallie Brown, who now represents, recalled the death of Linke and said it renewed calls for The City to do something about the dangerous corridor. City officials said from 2009 to 2014, there were 113 traffic collisions, 14 of which were pedestrian collisions and 24 bicycle collisions on Masonic from Geary to Fell. While officials celebrated the new corridor, Brown said she questioned whether or not to celebrate the new corridor when she believed there was still work to be done. Ultimately, she said supported the project and said projects like the one Masonic will need tweaking when they first debut.